Our attentions have turned to bespoke winter suits and garment layering as the temperatures begin to drop. In both Northern Europe and North America, it’s wise to bear in mind just how cold it can get. 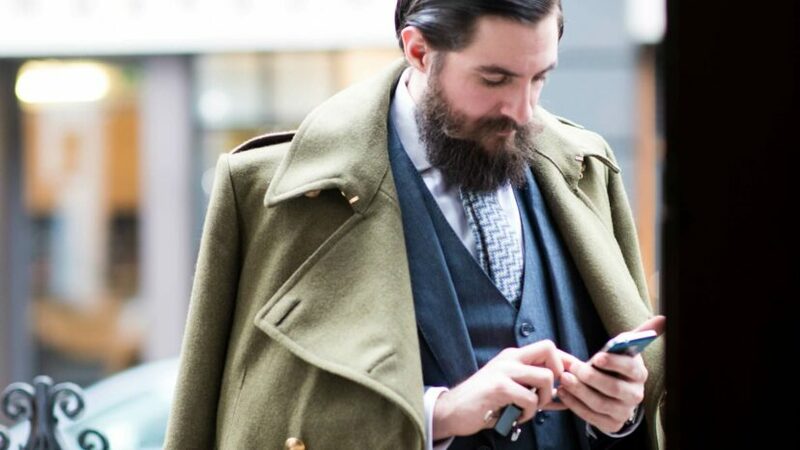 There is a real art involved in layering your bespoke winter suits, maximising comfort and warmth while also keeping your look sharp and stylish. This seasonal method of dressing is one that we at Cad & The Dandy most enjoy, giving us the opportunity to wear more of the clothes we love. Both practical and smart when it’s done right, we suggest following a simple ‘thin to thick’ rule. When assembling your look, apply the thinnest layer first, progressing to the heaviest layer last. Placing the most lightweight items closest to the skin allows breathability, whilst heavier items on the outside provide greater protection when facing the challenges of wintry weather. Varying weaves and textures within your layers also adds visual depth to a look. For a business like approach, try three piece bespoke winter suits in navy or grey wool, flannel or cashmere / alpaca blends which combine lightness of weight with durability and warmth. Double breasted jackets also offer greater protection from the elements due to the nature of their wrap over fronts. Wear with a simple roll neck and streamlined overcoat for a strong contemporary look. For a more causal look try combining a simple cotton shirt with a slim fit jumper or cardigan and a heavier weight jacket in a tweed or corduroy. Dark denim and corduroy work well when combined in a casual ensemble as they have similar weights whilst also having strongly contrasting textures. Accessorise either approach with a silk pocket square (read our pocket square style guide), a cravat or a wool scarf allowing the introduction of additional colour, pattern and texture. Contemporary, cashmere knitted woollen hats and tweed cloth caps are extremely practical and, worn with confidence, will give more individuality to your look. As a final note, be mindful that you will be removing layers throughout the course of your day, as the temperature of your environments change. So, making sure your look works with all or just a few of the combined garments also needs consideration. The cut of each item is also vitally important as too many bulky, unshaped items will ruin your silhouette.